With a three-week break just around the corner, there is a tendency for parents to give in as children pressure them for more screen time. I encourage parents to be resilient and continue to set limits in an effort to achieve a healthy balance. The experts appear to be united in their thoughts on this challenging topic. Young people aren’t very good at self-regulation and I think one of the things we need to do as parents is remember that we are their frontal cortex. We need to be the fully developed part of their brain that isn’t. We need to set limits and boundaries. I plead with parents on a weekly basis that for every hour of screen time there be at least two hours of green time. 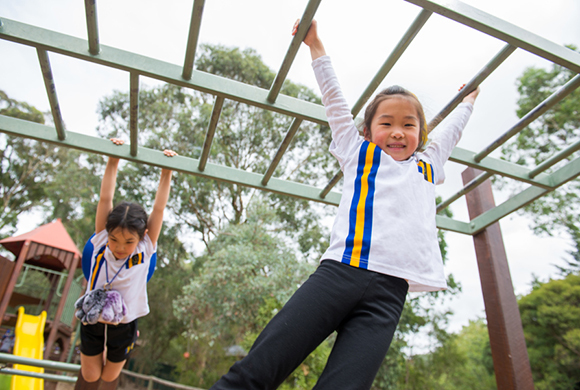 Kids need to be outdoors, they need to oxygenate their brain, they need to exercise. And staring at screens for 13 hours a day is not OK. Professor Susan Edwards, who recently co-wrote a statement of guidance on digital technology for Early Childhood Australia, says parents and children need to work towards ‘a happy medium’. Even the UK’s Royal College of Paediatrics prescribed limits suggesting all screens should be switched off an hour before bedtime. Furthermore, infant TV viewing has been linked to shorter sleep duration, which has been linked to weight gain. In wishing everyone a safe and happy Easter break, I also strongly encourage parents to prioritise green time over screen time. For more information on this topic I suggest parents consult Common Sense Media, raisingchildren.net.au, The Educator Australia, Thrive Global.com and HealthyChildren.org.